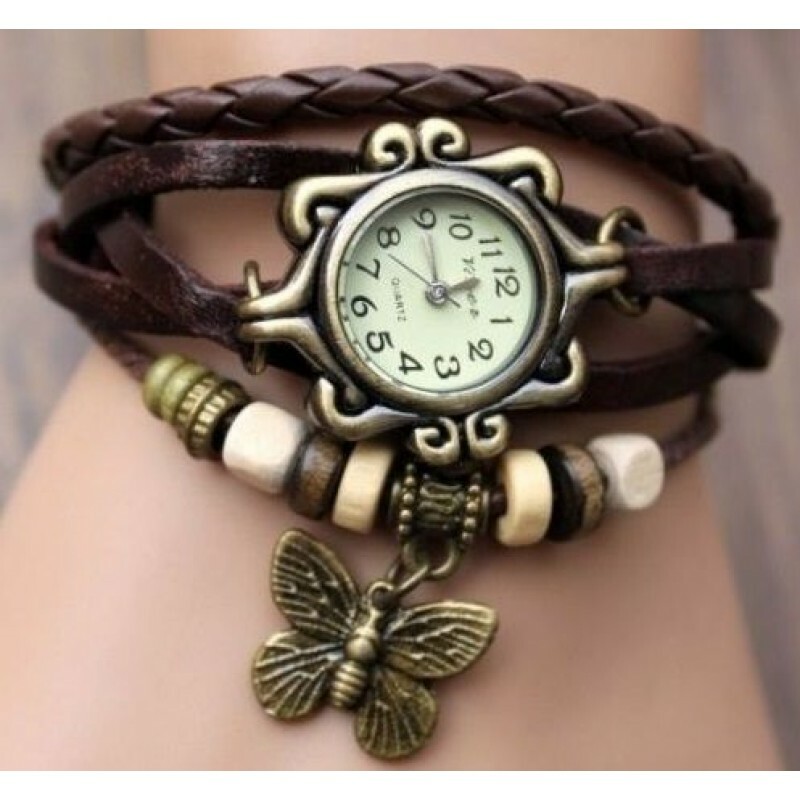 BROWN colored Wrist watch is must wearing item in today's fashion and style. Our experts chosen this item in great range of colors for you to match with your matching outfits. This elegant light weight watch type is analog watch and its a causal item to wear. 1 x Mentioned above item in Title, Description. Due to screen colors anomaly between CRT (Cathode Ray Tube) and LCD screen, there may be slight color difference between the product comparing shown on computer. This simple and elegant RED watch with PU leather strap having embossed design on strap and golden d..
SILVER color is like by some people always we have brought this watch made with alloy and oval shape.. This stylish BLUE colored watch with golden round dial and beautiful pins. Strap made with leather. ..
BLUE colored oval shaped crocodile skin style PU straps and same schemed colored hanging fish. Its a.. This simple design watch having WHITE, RED AND BLACK colors combination and it is looking awesome be..
BLACK colored Wrist watch is must wearing item in today's fashion and style. Our experts chosen this..